In many cases, patients are now able to access their health care providers through video conferencing, instant messaging, email and other forms of technology. This field, known as telehealth, is growing due to the demand for greater access and convenience in health care, according to Hospitals & Health Networks. Advances in technology allow nurses to interact with patients remotely. This has led to the term “telenursing” or “telehealth nursing,” which is defined as “the use of telehealth/telemedicine technology to deliver nursing care and conduct nursing practice,” the American Telemedicine Association (ATA) says. Telenursing is not a specialty area in nursing. Nurses in nearly all practice settings can provide care at a distance. And given the rapid rise of telenursing, current and future nurses can expect to have more career opportunities in this field. More than half of all U.S. hospitals use some form of telemedicine, according to the ATA. A survey shows that 90 percent of health care executives are developing or implementing a telemedicine program. Other signs point to the growth of telemedicine and telenursing. State lawmakers are supporting legislation for telemedicine-related reimbursements. These changes have been accepted by private and public insurers. Providers are even extending services across the globe, and the ATA notes that more than 200 academic medical centers in the United States offer video-based consulting in other parts of the world. Primary benefits associated with telemedicine include the following. · Cost Savings: A heart failure telemonitoring program led to 11 percent cost savings, with an estimated return on investment of $3.30 in cost savings for every $1 spent on program implementation, according to the American Hospital Association. U.S. employers could save an estimated $6 billion by offering telemedicine, global professional services company Towers Watson says. · Flexibility: About 20 percent of Americans live in rural areas without easy access to primary care or specialty care. More than 40 percent of hospitals surveyed said that a leading reason for investing in telemedicine tools is filling in gaps due to community remoteness. A survey of patients conducted by Software Advice, a company that compares electronic health records, revealed that 21 percent viewed the top benefit of telemedicine as not having to travel to receive care. · Quality Care: Patient readmissions in the heart failure telemonitoring program were 44 percent lower over 30 days and 38 percent lower over 90 days, compared to patients not enrolled in the program. A study of 8,000 patient care outcomes using telemedicine services found no difference between the virtual appointment and an in-person office visit. In a Humana Cares remote health monitoring and management program for patients with congestive heart failure, at least 90 percent of patients felt more connected to their nurse, said the virtual care suite was easy to use and said they would recommend the program to their friends. For patients who have not used a telemedicine service, 75 percent are interested in using one instead of an in-person medical visit, according to the Software Advice survey. For patients who have used telemedicine, 67 percent say that using telemedicine “somewhat” or “significantly increases” their satisfaction with their medical care. TeleICU has improved outcomes for critically ill patients by reducing ICU mortality, shortening stays in the ICU and in the hospital, increasing compliance with evidence-based best practices, improving outcomes for cardiopulmonary arrest patients and decreasing costs for patient care. ICU nurses use audio and video technology to assess and monitor patients at the patient’s bedside. At the click of a mouse, nurses have access to medical records, diagnostic images and laboratory results, as well as standard monitoring such as electrocardiography and hemodynamic values. verify infusions and verbally interact with the patient, the patient’s family and staff. The nurse also acts as a resource for the bedside nurse, quickly retrieving vital pieces of information and data, and drafting detailed admission notes when a patient arrives in the unit to keep complete information about the patient available. Career opportunities in areas such as telenursing will rely on candidates with a strong educational background. Educational standards are already on the rise, as more hospitals across the nation require nurses to hold a BSN degree. Aurora University’s online RN to BSN program equips graduates with the skills and knowledge needed to pursue advanced career opportunities. The program takes place in an online learning environment, allowing students the flexibility and convenience to complete their degree while maintaining their work and personal schedule. Cultural respect is vital to reduce health disparities and improve access to high-quality healthcare that is responsive to patients’ needs, according to the National Institutes of Health (NIH). Nurses must respond to changing patient demographics to provide culturally sensitive care. This need is strikingly evident in critical care units. In contrast, promoting culturally competent nursing care helps nurses function effectively with other professionals and understand the needs of groups accessing health information and healthcare. Cultural competence can be defined as “developing an awareness of one’s own existence, sensations, thoughts, and environment without letting it have an undue influence on those from other backgrounds; demonstrating knowledge and understanding of the client’s culture; accepting and respecting cultural differences; adapting care to be congruent with the client’s culture,” according to Larry Purnell in his book Transcultural Health Care: A Culturally Competent Approach (1998). Another definition states that cultural competence “describes how to best meet the needs of an increasingly diverse patient population and how to effectively advocate for them,” says Barbara L. Nichols, former CEO of the Commission on Graduates of Foreign Nursing Schools, in NSNA Imprint. Explanations of culturally competent nursing care focus on recognizing a patient’s individual needs, including language, customs, beliefs and perspectives. Cultural sensitivity is foundational to all nurses. “The nurse practices with compassion and respect for the inherent dignity, worth, and unique attributes of every person,” states the American Nurses Association’s Code of Ethics for Nurses. More than one-third (37 percent) of the U.S. population consists of individuals from ethnic and racial minority groups, and by 2043, minority groups will become the majority, according to research from the American Association of Colleges of Nursing. However, nurses from minority backgrounds represent 19 percent of the registered nursing (RN) workforce. Men account for 9.6 percent of the RN workforce. There is a “challenge presented by the health care needs of a growing number of diverse racial and ethnic communities and linguistic groups, each with its own cultural traits and health challenges,” the NIH says. Nurses and other healthcare providers must account for these differences through cultural respect to support positive health outcomes and provide accuracy in medical research. Campinha-Bacote and Munoz (2001) proposed a five-component model for developing cultural competence in The Case Manager. Cultural awareness involves self-examination of in-depth exploration of one’s cultural and professional background. This component begins with insight into one’s cultural healthcare beliefs and values. A cultural awareness assessment tool can be used to assess a person’s level of cultural awareness. Cultural knowledge involves seeking and obtaining an information base on different cultural and ethnic groups. This component is expanded by accessing information offered through sources such as journal articles, seminars, textbooks, internet resources, workshop presentations and university courses. Cultural skill involves the nurse’s ability to collect relevant cultural data regarding the patient’s presenting problem and accurately perform a culturally specific assessment. The Giger and Davidhizar model offers a framework for assessing cultural, racial and ethnic differences in patients. Cultural encounter is defined as the process that encourages nurses to directly engage in cross-cultural interactions with patients from culturally diverse backgrounds. Nurses increase cultural competence by directly interacting with patients from different cultural backgrounds. This is an ongoing process; developing cultural competence cannot be mastered. Cultural desire refers to the motivation to become culturally aware and to seek cultural encounters. This component involves the willingness to be open to others, to accept and respect cultural differences and to be willing to learn from others. Nurses should explain healthcare jargon to patients whose native language is not English, according to Monster contributing writer Megan Malugani. A breast cancer awareness program for U.S. immigrants demonstrated that women were too shy to say they didn’t understood certain terms. Some assumed that Medicare and Medicaid were forms of cancer. Many people from other cultures seek herbal remedies from traditional healers — and they can be harmful or interact poorly with Western medicine. Nurses should ask patients about any alternative approaches to healing they are using. Another example of cultural sensitivity involves nurses understanding the roles of men and women in the patient’s society. “In some cultures, the oldest male is the decision-maker for the rest of the family, even with regards to treatment decisions,” Anderson says. The most important way for nurses to achieve cultural competency and promote respect, according to Anderson, is to gain the patient’s trust for a stronger nurse-patient relationship. This requires sensitivity and effective verbal and non-verbal communication. Nurses should never make assumptions or judgments about other individuals or their beliefs. Instead, nurses can ask questions about cultural practices in a professional and thoughtful manner. 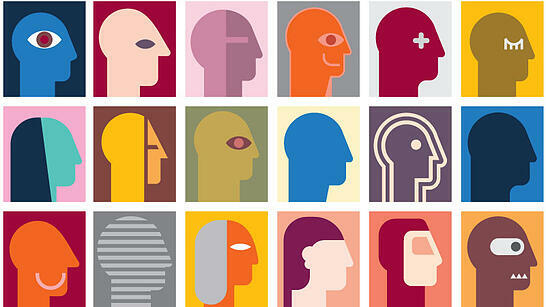 Common pitfalls to avoid involve stereotyping and labeling patients, according to Flowers. Nurses should avoid unintentionally stereotyping a patient into a specific cultural or ethnic group based on characteristics like outward appearance, race, country of origin or stated religious preference. Stereotyping refers to an “oversimplified conception, opinion, or belief about some aspect of an individual or group of people,” she says. Additionally, many subcultures and variations can exist within a cultural or ethnic group. For instance, the term Asian-American includes cultures such as Chinese, Japanese, Taiwanese, Filipino, Korean and Vietnamese, and within these cultures, there are variations in geographic region, religion, language, family structure and more. Nurses should be careful about labeling patients. For instance, citizens in the United States may refer to themselves as Americans, but that term can also apply to individuals from Central and South America. Flowers recommends referring to a person from the United States as a U.S. citizen. More hospitals across the United States now require that nurses have a bachelor’s degree. Rising educational standards are emphasized to increase the quality of care that patients receive. Alvernia University’s online RN to BSN Completion Program is designed to improve patient outcomes and help nurses meet each patient’s needs, including those unique to the patient’s cultural background. The degree program takes place in a convenient online learning environment that accommodates students’ work and personal schedules. The RN to BSN Completion Program includes a class — NUR 318 Developing Cultural Competency & Global Awareness — which offers students “an opportunity to begin their lifelong journey to becoming culturally engaged.” This course has existed at Alvernia University for more than a decade, and demonstrates how Alvernia is leading the way in preparing culturally competent nurses. All nurses work to improve health outcomes and help monitor and manage disease. But community health nurses work in traditional public health settings and focus on the overall health of an entire community or multiple communities. Community health nursing is also known as public health nursing. Working with diverse populations requires cultural competency to “understand invisible factors in the community that promote health and prevent disease, such as assets, values, strengths, and special characteristics of the communities,” Pamela Kulbok, DNSc, RN, and others say in The Online Journal of Issues and Nursing. Community health nurses develop strategies and interventions that target entire population groups, families or individuals. Regardless of the practice setting, they focus on preventing illnesses, injuries or disabilities and promoting good health. Responsibilities can include providing primary care, health education and care management to individuals and families in the community. Community health nurses can provide input to programs that address public health problems, develop public policy for health promotion and disease prevention, and evaluate health trends to help determine intervention priorities. A strength of community health nurses is their adaptability. They provide care in patients’ homes, at organized events and at agencies and institutions that serve people with specific health needs. Settings include community health clinics, community nursing centers, schools, churches, housing developments, local and state health departments, neighborhood centers, homeless shelters and work sites. Vulnerable and high-risk populations are often the focus of care, which includes homeless individuals, the elderly, teen mothers, pregnant women, smokers, infants and those at risk for a specific disease. Nurses wishing to pursue a career in community health nursing typically need a bachelor’s degree and clinical experience. Those with advanced degrees can pursue teaching and research opportunities. Community health nurses merge their clinical knowledge with community involvement and outreach efforts to respond to health problems and promote overall health. They rely on critical thinking, advocacy and analytical abilities to provide dynamic and adaptive care that impacts the community. Alvernia University’s online RN to BSN Completion Program takes a community-first approach to developing nursing skills. Courses such as Health Restoration in the Aging Population and Health Promotion in Families and Communities focus on health restoration and promotion in the community, which is ideal for students wanting to pursue a career as a community or public health nurse. The program takes place in an online learning environment that can accommodate students’ work and personal schedules. Click here to access Alvernia University’s online RN to BSN completion program. To be a successful nurse, excellent communication skills are required. The ability to communicate and connect with patients and health care professionals can help build relationships, prevent mistakes and provide a higher level of care. According to a 2013 study published in the Journal of Patient Safety, as many as 440,000 people die each year from preventable medical errors, representing the third leading cause of death in the U.S. on the list from the Centers for Disease Control and Prevention (CDC). Of deaths due to medical errors, The Joint Commission estimates that 80 percent involve miscommunication. The Joint Commission’s analysis of 2012, 2013 and first-quarter 2014 data revealed that in all three time frames, communication was one of the top three leading causes of sentinel events, a patient safety event unrelated to the patient’s illness or condition that results in death, permanent harm or another qualifying negative outcome. Increases in nursing communication can lessen medical errors and make a difference in positive patient outcomes. In a 2014 study published by the New England Journal of Medicine, medical error rates in nine children’s hospitals decreased by 23 percent after a handoff program was instituted to enhance and standardize communication. According to Ros Wright, the body of literature in nursing communication points to “increased recovery rates, a sense of safety and protection, improved levels of patient satisfaction and greater adherence to treatment options” as well-documented results of effective communication. Multiple communication theories are used in nursing to help explain and guide interactions made between nurses and patients, as well as nurses and other health care professionals. Orientation Phase: The nurse engages the patient in treatment, and the patient is able to ask questions and receive explanations and information. This stage helps the patient develop trust and is where first impressions about the nurse and health care system begin to evolve. Identification Phase: The patient and nurse begin to work together. These interactions provide the basis for understanding, trust and acceptance as the patient becomes an active participant in treatment. Exploitation Phase: The patient takes advantage of all services offered, exploiting the nurse-patient relationship to address treatment goals. Resolution Phase: As a result of effective communication, the patient’s needs are met, and he or she moves toward full independence. The patient no longer needs help, and the relationship ends. The dyadic interpersonal communication model describes the dynamic interactive process that takes place between two people. Based on a sender and recipient — the encoder and decoder — and outside influences such as perception, attitude, content and the emotional and physical elements, the model points to the many factors that can alter the message or the message’s delivery. As the sender or encoder provides a message, the recipient, or decoder, must process the information. The dyadic interpersonal communication model highlights the importance of clarity and awareness for the many factors that can affect verbal and nonverbal communication. A number of other theories in communication and specifically in nursing communication have been used in health care. For instance, Jean Ann Seago notes that “Habermas’ critical theory has been used to identify successful nurse-physician collaborative strategies, including a willingness to move beyond basic information exchange and to challenge distortions and assumptions in the relationships.” Also, Seago mentions theories deriving from Foucault, feminism and the aviation industry to understand and enhance communication. In addition to these types of theories, several others could be named, such as those in experiential communication. In order to help patients and work alongside peers, nurses must consider the skills and tools that are involved in effective communication. From being aware of potential barriers blocking effective communication to utilizing integral communication skills, nurses can take steps toward providing better care. Nurses who are aware of the common barriers to effective communication will be able to anticipate and properly react to any roadblocks. With this focus, nurses can help ensure optimal communication and patient care. In "Effective Communication Skills in Nursing Practice," Elain Bramhall highlights common barriers to effective communication for the patient and health care providers. Patient barriers include environmental items such as noise, lack of privacy and lack of control over who is present; fear and anxiety related to being judged, becoming emotional or being weak; and other barriers such as an inability in explaining feelings and attempting to appear strong for someone else’s benefit. Health care professional barriers include environmental items such as lack of time or support, staff conflict and high workload; fear and anxiety related to causing the patient to be distressed by talking or responding to questions; and other barriers such as a lack of skills or strategies for coping with difficult emotions, reactions or questions. Nonverbal Communication: An “ongoing process … characterized by facial expressions, gestures, posture and physical barriers such as distance from the interlocutor,” nonverbal communication must agree with verbal communication. In stressful moments, Kourkouta and Papathanasiou note, changes in these two communication types can be difficult to assess. Listening: An important part of communication, listening is a “responsible nursing practice and requires concentration of attention and mobilization of all the senses for the perception of verbal and nonverbal messages emitted by the patient.” By listening, nurses can be attentive to the patient and integrate care according to the patient’s evolving needs. Personal Relationships: Marked by kindness, compassion and care, nurses can develop good personal relationships with the ability to “ask questions with kindness and provide information that does not scare, that demonstrates interest, creates feelings of acceptance, trust and a harmonious relationship, especially in modern multicultural society.” This relationship is connected to not only the transmission of information but also the mental and emotional dynamics found in communication. Further skills can promote effective communication practices in nurses. Bramhall points out that asking open questions, clarification and screening questions can help keep the focus on the patient. For information giving, providing small amounts of information at a time, checking what information the person knows already and pausing before continuing can help. And for listening, summarizing, paraphrasing, empathizing and making educated guesses can demonstrate that the nurse is listening and able to communicate effectively to patients and other health care professionals. Through education and employment-sponsored training, nurses can advance communication skills that are crucial to improving as effective health care professionals. At Southeastern University, current nursing professionals can enhance their communication skills with an online RN to BSN degree. The program expands on knowledge and skills nurses need to advance into leadership positions. For nurses, communication comes into play in virtually any context. As nurses cultivate these skills to develop professional relationships with fellow health care professionals, connect to patients and become more well-rounded and effective individuals, education and on-the-job training can maximize the impact improved communication skills will have in the workplace. Correctional nursing is a specialty providing healthcare in jails, prisons and juvenile confinement facilities. But outside of the specialty, few recognize the importance of correctional nurses in treating an underserved population. Muse, who also sits on the board of directors for the National Commission on Correctional Health Care as the American Nurses Association representative, entered correctional nursing by chance. A former nursing school classmate introduced her to the field, later encouraging Muse to apply for her position. This opportunity led Muse to gain an appreciation of and passion for one of nursing’s least understood specialties. Getting comfortable with the work environment and patient population in corrections can take time, and it’s not for everyone. Yet, given the diverse population that correctional nurses serve, this specialty is similar to others. Muse points out that nurses with medical and surgical skills or a background in emergency medicine or public health are well-prepared for correctional nursing. The environment also dictates a nurse’s caseload and how work is executed. A cellblock may require seeing a group of patients at once, while other situations require one or two patients at a time. 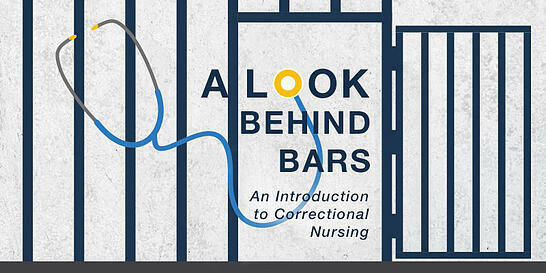 Muse emphasizes how correctional nurses must be looking for opportunities. A patient complaining about a headache may lead to an opportunity to educate that person. Or the headache could be something the patient says because there’s something else wrong, but the individual doesn’t know how to share it. Safety is a natural concern for those not familiar with correctional nursing, because it involves being around and treating convicted criminals. However, this reaction may be unfounded. Because there are always guards present, correctional nursing is “no less risky than other [nursing] environments,” Muse pointed out. This is why many believe that correctional nursing is actually safer than other specialties and environments. In her experience, Muse is aware of limited incidents of violence; in the majority of cases, patients had mental health conditions. “For me, it was actually scarier as a student when I went on the mental health unit,” she said. Psychiatric settings were identified by The Online Journal of Issues in Nursing as an area of healthcare where workplace violence is more common, along with labor and delivery and maternal-child health units. Four out of five incidents occurred in the emergency department, leading all hospital settings. Surveillance studies reveal that more than 50 percent of emergency department nurses have experienced verbal or physical violence at work. Research is limited on safety in correctional healthcare settings. In BMC Health Services Research, a three-year study of violence among correctional health professionals in Australia found that most incidents took place in a forensic hospital, a facility for inmates who are not competent to stand trial due to severe mental illness. During the study, no deaths took place, few incidents of violence led to serious physical injury, and almost all incidents were given a medium (46 percent) or low (52 percent) rating on the severity assessment code. “Compared with health care settings in the community, correctional settings are fairly safe places in which to practice,” researchers concluded. A lack of resources for delivering quality patient care has typically distinguished correctional nursing from other specialties. “If you're looking for ease and comfort, you might not have a nice operating room, you might not have all the tools, the most equipment,” Muse said. Although facilities weren’t built for healthcare treatment, correctional facilities are starting to improve. Nurses need to be a part of the decision-making process, Muse said, to ensure that the right types of equipment and resources are available. Due to misunderstandings about correctional nursing and a lack of interest in the specialty, correctional facilities need to offer competitive salaries. “The nurse leaders I know actually benchmark against hospitals in their areas,” Muse said. Sources show the competitive nature of correctional nursing. Registered nurses for the Pennsylvania State Civil Service Commission earn $54,038 to $82,058 per year, with higher pay at specific locations. Registered nurses for the New York State Department of Corrections and Community Supervision earn up to $74,000, based on location, shift and experience. The average salary for job postings on Indeed for “correctional nurse” is $67,000. “If you really are passionate about care and you really believe that people deserve care regardless of their circumstances, then corrections is a great place to make that happen,” Muse said. “If you are interested in driving change, then corrections is a great place to practice.” Correctional nursing also offers considerable potential for career advancement. Alvernia University is committed to advancing healthcare across the nursing profession. The online RN to BSN Completion Program helps nurses gain the skills and knowledge they need to thrive in fields such as correctional nursing. With a flexible and convenient learning environment, students are able to reach their goals while they maintain their current work and personal schedules. In 2012, the Affordable Care Act introduced a new policy that would help calculate Medicare reimbursement and bonuses to healthcare facilities. More than $1 billion is withheld from hospitals each year, and only facilities that maintain basic care standards and obtain high patient satisfaction survey scores earn money back. The Atlantic adds that top performers collect bonus money from the pool. The policy places a lot of weight on patient satisfaction scores — 30 percent of hospitals’ Medicare reimbursement rides on these subjective assessments. As a result, there have already been unfortunate consequences for some hospitals, patients and healthcare workers. But with the right approach, healthcare professionals can take steps to minimize the negative effects and concentrate on providing quality care to patients. * Transition of care In 2015, CMS unveiled a new five-star rating system for consumers to compare hospitals online. CMS uses data from HCAHPS surveys to determine a hospital’s star rating, which is updated quarterly. Based on analysis from Modern Healthcare, only 251 of more than 3,500 U.S. hospitals received the highest ranking of five stars in April. The Affordable Care Act mandated that 1 percent of Medicare inpatient payments be withheld from hospitals — approximately $850 million — beginning in fiscal year 2013. For fiscal year 2015, the withholding increased to 1.5 percent. And in fiscal year 2017, The Advisory Board Company explains, this amount maxes at 2 percent. “Patient experience of care” is where HCAHPS scores come into play. The Advisory Board Company states that, by design, approximately half of hospitals receive the financial penalty in a given year. In future years, it will become more difficult for hospitals to do well under this payment model and rise above the break-even mark. The HCAHPS puts financial pressure on hospitals. If they are unable to score in the top half of all facilities, they lose income. And as a result, this pressure can lead to solutions that may not be best for healthcare environments. Research identifies factors unrelated to quality of care as being more important to patients. A study in ScienceDaily found some of these factors, such as noise in the hospital room or the responsiveness of a nurse, often characterize large, busy urban hospitals that have high caseloads and better medical outcomes. “Based on this study, the hospitals that have the best survival outcomes are not doing the best job of satisfying patients,” said Robert D. Lieberthal, Ph.D., the study’s lead author. This has led to hotel-like amenities at hospitals seeking to improve patient satisfaction scores on the HCAHPS. Elisabeth Rosenthal of The New York Times describes a $63 million community hospital outfitted with a stone fireplace and a waterfall in the lobby. Private rooms for patients include couches, flat-screen televisions and picturesque views. While there are some medical arguments for the trend, such as lower infection rates and added rest, Rosenthal argues that “the main reason for the largess is marketing.” Patient satisfaction becomes focused on amenities rather than quality of care, and the added cost is felt on a U.S. healthcare bill that exceeds $3 trillion. Patient comments on the HCAHPS survey reveal negative perceptions of medical care. The Atlantic documents complaints that range from not enough pastrami on a patient’s sandwich (after undergoing quadruple-bypass surgery) to a hospital that lacked Splenda. Another patient complained about a roommate that was very noisy. These types of comments reinforce the fact that patients are often more concerned about comfort than they are concerned about quality of care. As oncology nurse Theresa Brown writes in The New York Times, “Focusing on what patients want — a certain test, a specific drug — may mean they get less of what they actually need. In other words, evaluating hospital care in terms of its ability to offer positive experiences could easily put pressure on the system to do things it can’t, at the expense of what it should.” If hospitals focus too heavily on what patients want, the patients could suffer in terms of quality care. To perform well on the HCAHPS, doctors, nurses and other hospital staff must balance what is medically necessary for patients with what a patient likes or dislikes. In some situations, patients’ comfort and happiness are given too much weight. The Atlantic points out that in an effort to avoid upsetting patients, some doctors who are reimbursed based on these scores hesitate to refuse requested treatments or bring up difficult discussions about substance abuse, smoking or mental health issues. Medical Scribe Journal adds that this trend is also true for physicians abiding by patients’ requests for unnecessary tests. More than half of physicians in one survey admitted to ordering a test that wasn’t needed. And physicians who inform patients of bad news may not get high marks on patient satisfaction surveys. The pressure can also come from the hospital. The Atlantic mentions that because the HCAHPS involves nurses on almost every question, some hospitals now require nurses to undergo unnecessary nonmedical training that can involve scripts designed to score better on patient satisfaction surveys. The magazine points to hospital job postings for nurses that list “good customer-service skills” as the initial qualification. Some staff members are explicitly evaluated in terms of customer satisfaction, and patient satisfaction scores can be a factor in pay or annual bonuses for doctors and nurses. In many cases, healthcare professionals are able to treat patients while ensuring that they are as comfortable as possible. By having the right priorities and maintaining strong communication with patients, providers can do everything possible to meet all of their patients’ needs. The online B.S. Nursing: RN-BS degree program from Rivier University can help nurses keep a proper perspective on both patient satisfaction and patient treatment. It is designed to allow nurses to pursue leadership positions and increase the quality of care provided in any medical environment. The program takes place in a flexible online learning environment that allows students to maintain their work and personal schedule.